Whether you're a new or experienced investor, the temptation to chase short term returns can be hard to resist. 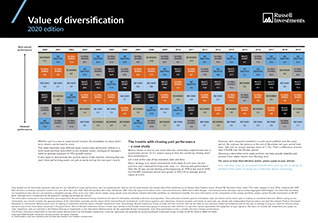 This table illustrates how different asset classes have performed relative to a multi-asset portfolio diversified across multiplt assets, strategies & managers (with an average exposure of 70% growth assets). It also helps to demonstrate the cyclical nature of the markets, showing that one year's best performing assets can just as easily end up the next year's worst. Different asset classes – like shares, bonds and property securities – carry different levels of risk and return. Investing in a single asset class is risky when you consider no one asset class consistently outperforms on a regular basis. 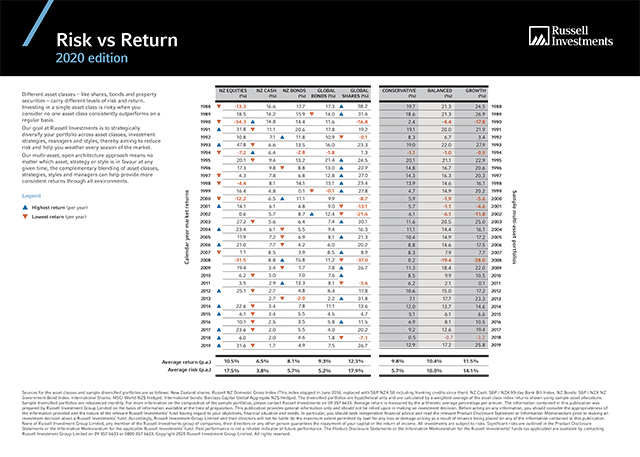 This chart shows that no one asset class consistently outperforms on a regular basis. When things are great, we feel that nothing can stop us. And when things go bad, we look to take drastic action. Because emotions can be such a threat to an investor's financial health, it is important to be aware of them. 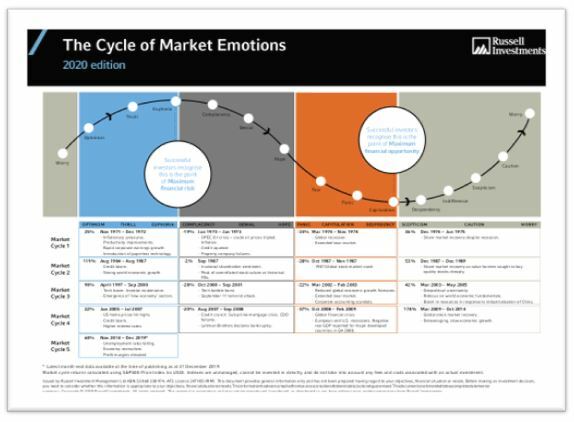 This chart helps investors understand and be aware of the negative consequences of impulsive and irrational reactions to emotions. Our Multi-asset review discusses Russell Investments’ performance in the past quarter and the outlook for year ahead. It addresses how Russell Investments’ active multi-asset portfolios performed and covering what was rewarded by the market and what wasn’t? This article will help you explain to your clients how it’s becoming harder to rely on previous asset class ‘winners’ and why it’s a smart move to stay diversified. Visit our Adviser insights page for more articles and insights. 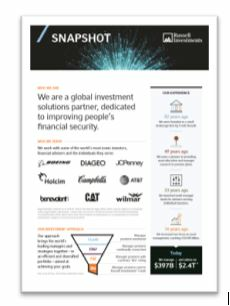 Our approach is trusted by some of the largest, most demanding investors in the world—household names with billions of dollars in their portfolios. These institutional investors are trying to do the same thing you are. They are investing savings, accumulated over time, to potentially create wealth in the future. 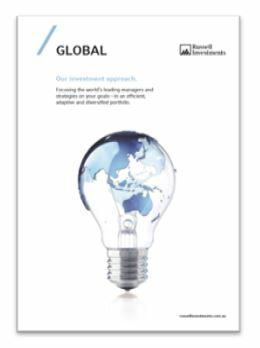 Focusing the world’s leading managers and strategies on your goals—in an efficient, adaptive and diversified portfolio.